One and a half years has passed since Sepp Blatter resigned as FIFA President. SportExpressen has exclusively met the controversial 81-year-old. 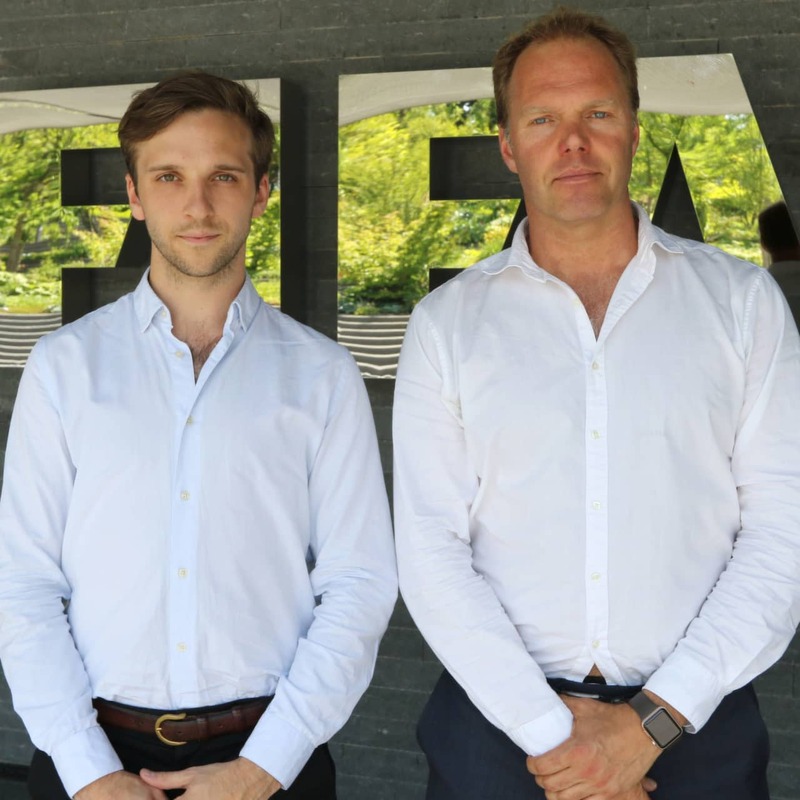 "FIFA is the victim, not a mafia organisation"
ZÜRICH. He is brimming with confidence. Laid back, gazing at the view and about to order a big bowl of ice cream. 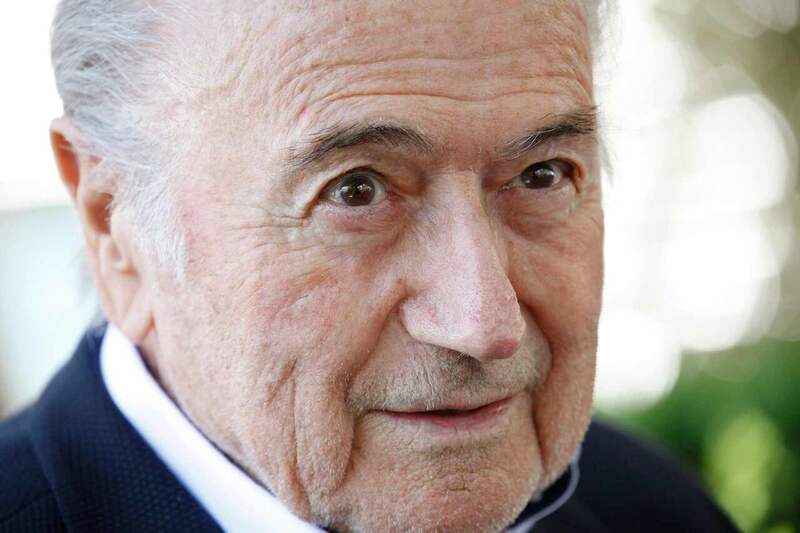 “FIFA is the victim, not a mafia organisation,” he says. Hounded by the FBI, and synonymous with the downfall of the governing body of international football – but according to Sepp Blatter himself, he is very popular. Expressen meets the fallen president, a year and a half after his exit. Sepp Blatter picks up his napkin, covers his mouth and clears his throat. “What is greater than FIFA?” he asks. His sleeves are rolled up as he reaches over the table, grabs a piece of bread and breaks it in two. Did you hear that their Vice President, Mike Pence, just hired the same law firm that I once did? I met a few of their representatives the other week. If Pence becomes president, my path into the White House is clear. That will be my next job! I can hear my constrained laughter, but am unable to stop it. Sepp pours himself some more wine and returns his napkin to his lap. Zürich is over 30°C. My decision to wear tweed is starting to feel like one of the dumbest I have made in a long time, but neither the dripping sweat nor anything else can distract me from what is going on at the other end of the table. In my head, I am trying to digest the various impressions from my recent hour-long interview with him. But it is hard to stay focused while he sits there, the face of football’s corruption, 81 years old, suspended from the organisation he headed up for 17 years, accused of most things, investigated by the Swiss authorities and the FBI, shamed in the eyes of world football, in a FIFA-owned restaurant, looking down on his beautiful home town. He leans over the table towards me. 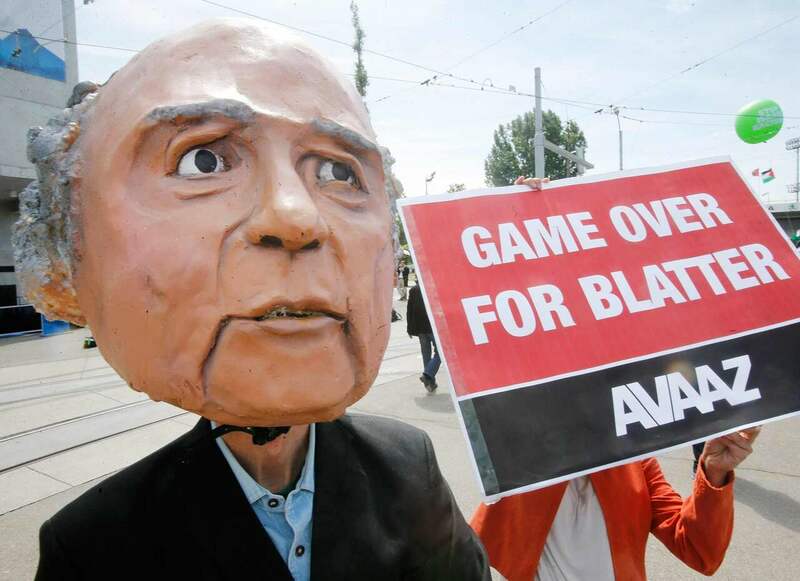 Protests against Blatter in Zürich 2015. 27 May 2015. Game over. 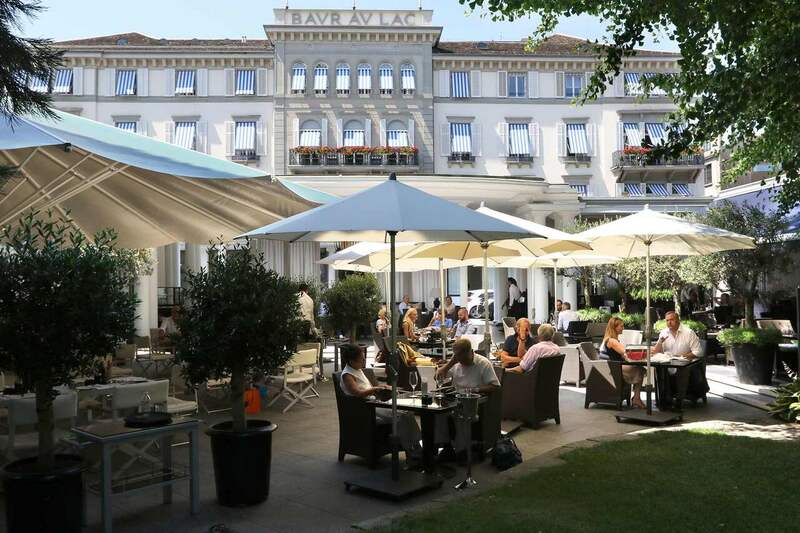 Swiss police forces, armed with a search warrant from the FBI, raid the luxurious Baur Au Lac hotel in central Zürich and arrest seven members of FIFA’s executive committee. Throughout Sepp Blatter’s 17-year reign, suspicions and accusations of bribery and corruption had been ever-present, but as things start to fall apart, the President seems to avoid the destiny that awaits many of his colleagues. When I meet him, more than a year and a half has passed since he left FIFA. A few days after the raid at Baur au Lac, Blatter resigned from his post as president, and then in October that year, he was given an eight-year suspension (which has since been shortened) by FIFA’s Ethics Committee after they launched an investigation into a dubious payment made by Blatter to the then president of UEFA, Michel Platini. The pressure took its toll. 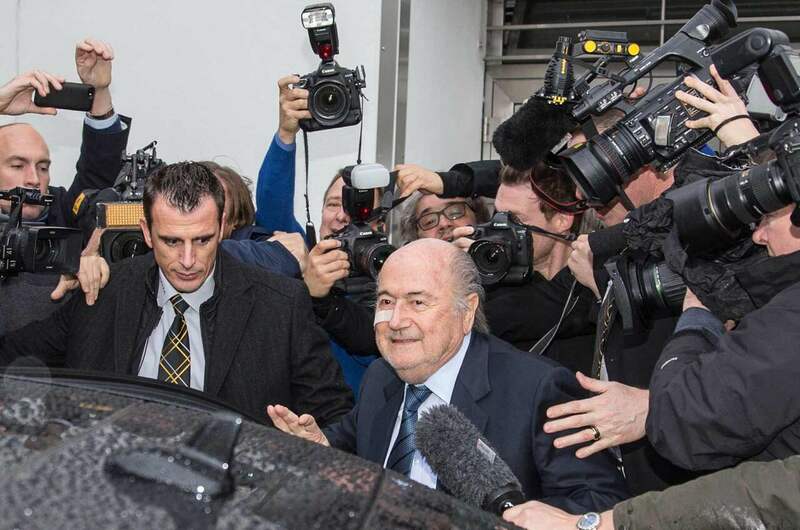 In November 2015, Blatter suffered what he described as a “nervous breakdown” and was admitted to hospital. Today, he is believed to be under investigation by both the FBI and the national authorities. In the week following our meeting, FIFA’s previously classified ‘Garcia report’, which investigated the decisions to award the 2018 and 2022 World Cups to Russia and Qatar respectively, was made available to the public and points the finger at Blatter for “presiding over a culture of entitlement” in the governing body of international football. But as of this beautiful sunny day, he is free and on his way here. I was expecting a small convoy, but he arrives on foot. Slowly he makes his way, laboriously, slightly hunched, one step at a time, lightly tinted sunglasses and a hint of stubble decorating his face. He drops his mobile phone as he is handing it over to Thomas Renggli, his right-hand man and private press officer. “This young man’s reflexes, eh?” he jokes as he walks towards me and leaves Thomas to pick it up off the ground. We meet halfway along a small path that leads up from the carpark to the restaurant. On his way, Sepp waves to the staff at the Sonnenberg restaurant, his “local restaurant”, located at the end of a winding road above Zürich’s old town. “How’s life?” he asks before I have had the chance to introduce myself. Behind him is a breathtaking backdrop of the city, with woodland-covered mountains that almost appear to be leaning in towards the city centre, and a crystal clear Lake Zürich that is looking so very inviting in this heat. I take a seat in the corner of a couch, Sepp sits in the one across from me and quickly explains that he prefers my spot, but says it will do for now. Sepp Blatter together with Noa Bachner, reporter. “This is a very important location for me. This is where it all started with the modern FIFA. This restaurant still belongs to FIFA. Or, well, someone else might be the chef now, but you know. To me, this corner where we are seated, is very important,” he says. I explain to him that I once sat next to him at another restaurant in central Zürich a few years ago, but he quickly points out that this one is much better, and starts unfolding a small piece of paper that has emerged from his pocket. It is full of facts about Swedish football. “Allsvenskan,” he says and looks at me with a big smile. I guess you have a lot more spare time now than in previous phases of your life. “I don’t know if you read the interview that The Guardian published the other day? It’s about a year old. I said I wanted to go back to Visp, my birthplace, and walk with the goats in the mountains, but that was at a time when I was recovering from the breakdown. Now I’m finished with that. I’m done with the mountains. I’m done with isolation. Now, I want to be where life is,” he says. Do you feel safe when you go out in Zürich? Are you afraid? Of the FBI or the Swiss authorities or anything else? In what capacity are you helping them? So, what are these people mostly concerned about? The World Cups? 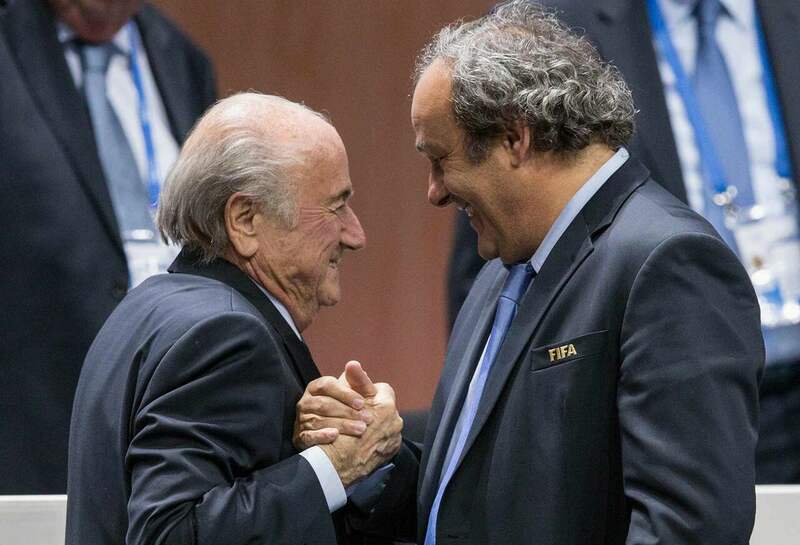 Sepp Blatter together with Michel Platini. The frenchman ran for the Fifa precidency 2016, but withdrew his candidacy. You don’t sound supportive of the Ethics Committee. His hands tremble slightly as he reaches for his glass of water. Sepp keeps talking about “the new FIFA” and adds that the Video Assistant Referee system that is currently being tested is “all wrong”. He goes on to criticize Infantino’s proposal for moving to 60-minute matches. Blatter prior a hearing with the ethics committee. “Leave the game alone!” he exclaims. Is Infantino a good president for FIFA? Are his reforms good? Not whether or not you think he is a good president? You can have an opinion. Do you read about what is being written and said about you and FIFA? “The American Justice Department. You can ask them. They have said it. FIFA is a victim. The members of FIFA who have been arrested or are in trouble with the US authorities are that because of activities within their own confederations, not as members of FIFA. South Americans, North Americans, now someone from Asia. All their activities are connected to their own confederations. So this is not a FIFA-gate. This is a confederation-gate,” Blatter says, forgetting to mention that former US General Attorney Lorretta Lynch, who branded FIFA “the victim of corruption”, added that the organisation’s leaders, the people the President himself surrounded himself with, were regarded as “perpetrators” and “potential culprits”. Is UEFA less corrupt than the other confederations? …the fact that you surrounded yourself with people who have been accused, arrested and judged on the basis of bribery and corruption, have they changed? This is his most adamant plea so far. I have not been charged. Not for bribery. I cannot be morally responsible for people I have not chosen. Only the president of FIFA is elected by the congress. 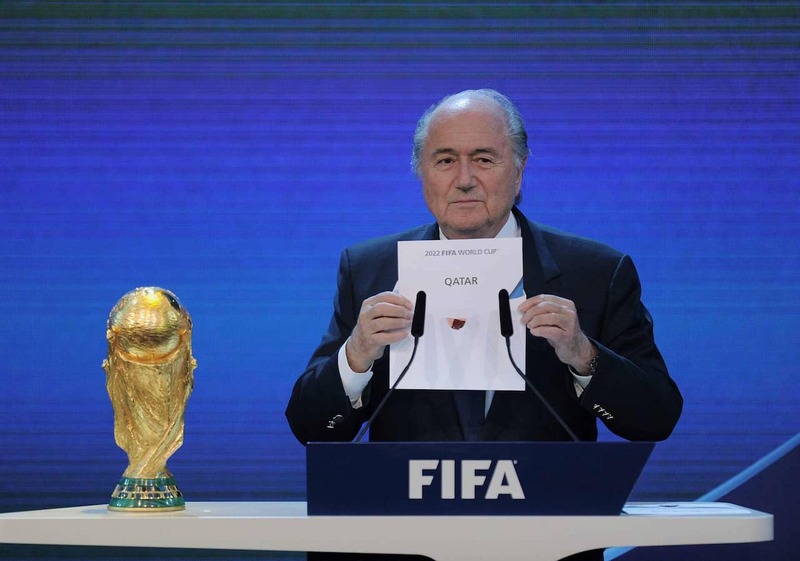 In december 2010, Qatar was awarded the 2022 world cup. Some of the decisions that were made during your time are still very controversial. What is your personal view of Qatar as the host of a World Cup? With heavy criticism being directed towards the lack of human rights and a constantly increasing number of casualties among construction workers. After all, it was your FIFA that chose them. Joseph S. Blatter was born in 1936 in the Swiss village of Visp, a small community of 6,000 people, right at the foot of the Matterhorn. His family mostly got by on his father’s work at a chemical plant. Sepp himself became interested in sport at an early age. His only daughter, Corinne, still lives in Visp and is married to a local restaurant owner. Sepp goes back there quite a bit and is quick to point out that Gianni Infantino, his successor as President of FIFA, who was born in Brig, another village just a few miles away, has failed to maintain the same close ties with his birthplace. Blatter first joined FIFA back in 1975. He had graduated from the University of Lausanne with a business degree at 23 and went on to become the general secretary of the Swiss Ice Hockey Federation by the age of 28. You have been in a very powerful position for a long time. What do you enjoy most about power? Well, every now and then, I guess. "What does being good mean? I have tried"
To what degree do you think humanity is driven by greed? Sepp does his utmost to imitate a hip hop-inspired high five, but is unhappy with his performance and decides to give it another try. On my way to Zürich, I reach Lennart Johansson, the Swedish, now 87-year old former UEFA president who stood against Blatter in the 1998 election to become President of FIFA. Johansson lost after an aggressive campaign, plagued by anger, accusations and personal insults. I see him as this thoroughly intelligent person with great difficulties in telling yours from mine. In every possible way. In Zürich, Sepp’s note has found its way out of his pocket and slipped under the couch he is sitting on. Thomas is more alert this time around and rushes over to pick it up. 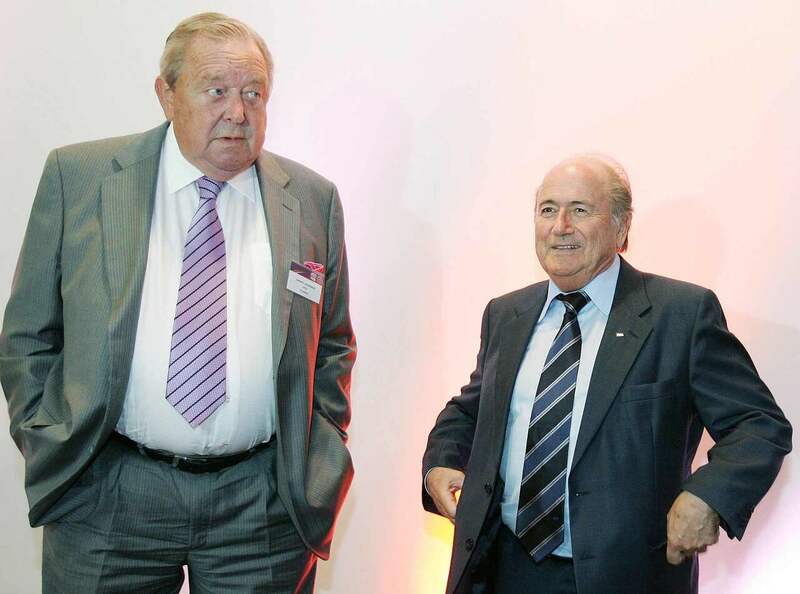 Blatter together with the man described as his archrival, Lennart Johansson. I actually spoke to Lennart Johansson yesterday. What do you mean ‘arranged’? Lennart wanted to ask you something. How are you planning to promote the good things that FIFA has achieved, when so much of your legacy is overshadowed by the bad? “It’s not easy to change the attitude of the international media. They are still in the mood to portray FIFA as corrupt and Sepp Blatter as the leader of all this. But history will show that FIFA was not corrupt. Not the organisation. The good things we have done? All the countries of the world play football. Football is the school of life." Yes. Although, we had an English manager back then. George Raynor. Unsurprisingly, my contribution to Sepp’s fact file is met with silence. We have been talking for about 45 minutes, and his answers are increasingly drifting away from my questions. More than anything, Blatter is eager to keep reading from his notes about Swedish football and Sweden. And portray himself. Sepp takes a deep breath as he prepares to pronounce her name. How do you view the development of women’s football under your reign? Sepp laughs and waits for me to join him, but I have no trouble holding back. This is not the first time he has expressed similar views on women. 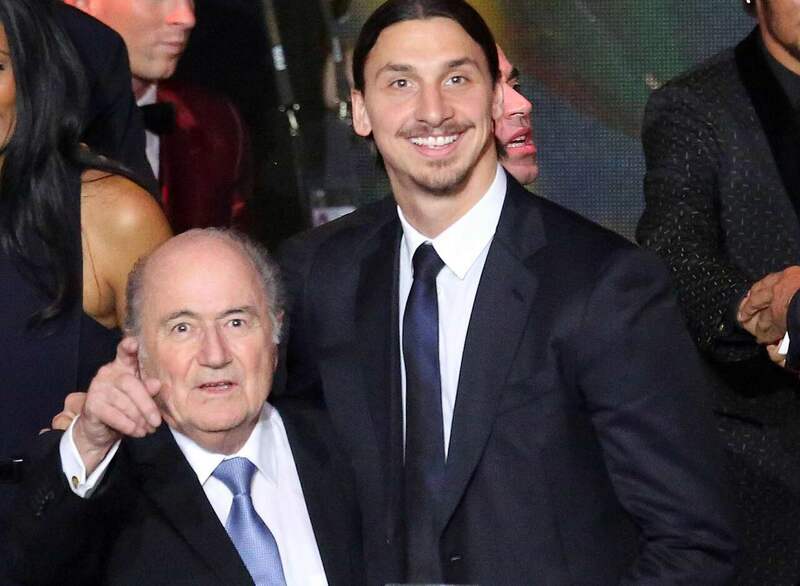 Sepp Blatter and Zlatan Ibrahimovic. The former Fifa-president "is a big fan" of the swedish striker. To what degree do you think Swedish football is corrupt then? We are done. Sepp and Thomas exchange a few words in Swiss German, the local dialect. Blue flags adorned with the FIFA logo flap about in the wind while Kristofer, my colleague and photographer, and I start packing up and getting ready to leave, somewhat hazy after the past hour’s level of concentration and information overload. Sepp is still sitting down as he looks at me inquiringly. I turn my head to Kristofer who appears to be as unable to provide an answer as I am. “It’s simple. Yes or no,” Sepp adds, eagerly. We accept his invitation and agree to pay the bill ourselves. Sepp takes the lead, rejects the first two tables on offer and chooses the third. As he proceeds towards it, he starts talking about Gianni Infantino again. He stops and turns towards me, slowly. “I am here,” he says with a big, big smile. And what about Michel Platini? The well-groomed staff, with neatly tucked shirts, circle the table and take us through every last detail of the menu. I try to order three times before our waiter is done. Sepp discusses his choice of wine for a few minutes and sends two bottles back to the kitchen before he is satisfied. “Oh. If you would have told me, I would have spoken in my Oxford English rather than my German accent,” he says in an extremely exaggerated accent. I have seen him pull the exact same stunt in a documentary film. Royal families are a recurring theme. 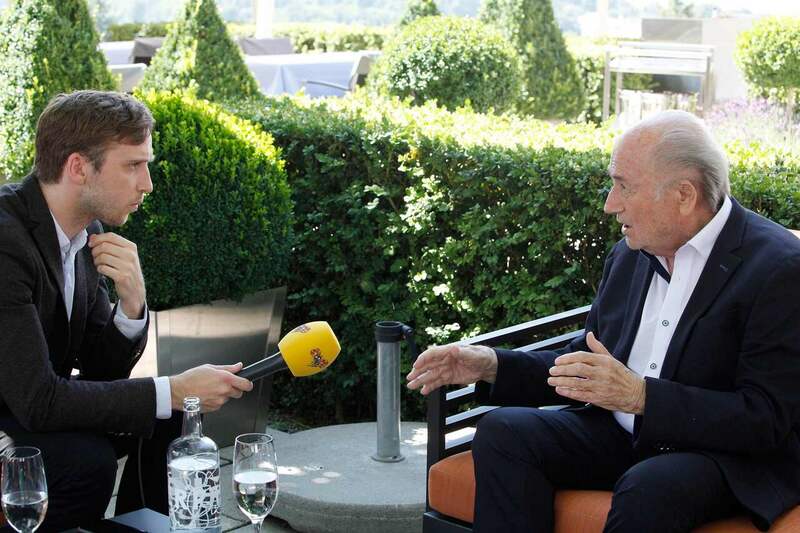 Sepp tells us about the time he met the former King of Greece when he was with FIFA and addressed him as “Your Highness”, rather than “Your Majesty”, and was put in his place. “When was Greece a Kingdom?” Thomas asks curiously. Sepp’s mouth is full of bread. He takes his time and chews it for a while before he answers. He orders prawns for starters. Then fish. He jokes about having breakfast with Donald Trump “tomorrow”. He namedrops a long list of Swedish celebrities, mostly athletes. Kristofer, Thomas and I each order an espresso after the meal, and I ask for the bill. “No, you would be the first to ever pay,” Sepp intervenes as he hands the waiter his credit card. Our coffees arrive, along with a large bowl of caramel ice cream, which is placed in front of Sepp. He scoops up a large spoonful, and looks at me for a long time as it melts in his mouth. “You have a Kingdom,” he says. His eyes drift towards the view. He blinks slowly, as he rests his gaze on the mountains across from us.